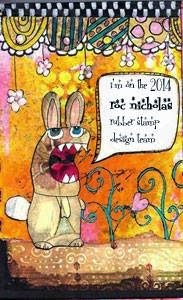 This is my November entry for the Roc Nicholas Rubber Stamp Design Team. 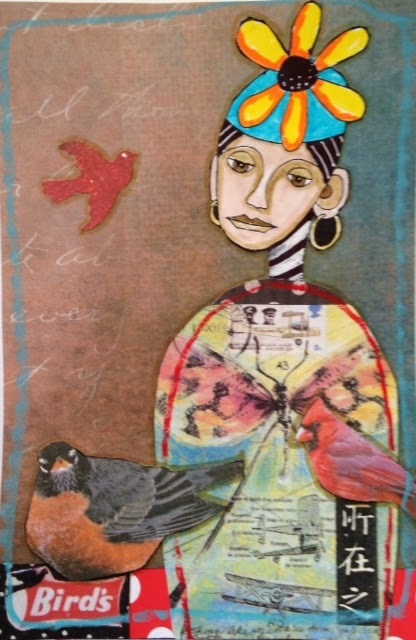 It is a 4x6 mixed-media postcard featuring Roc's Daisyhead stamp. You can see all her wonderful stamps here. Brilliant, Cathy! makes me think of Frida.